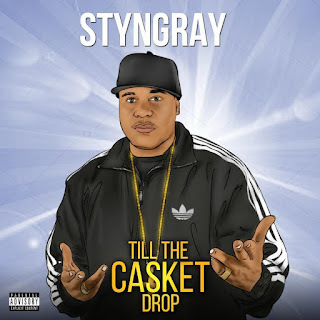 First Kings Entertainment and recording artist Styngray have recently released a new single and video entitled “Till the Casket Drop”. The single debuted at #108 and has climbed to #83 on Digital Radio Tracker’s top 150 chart for independent artists. The video, directed by Crucial Flix, was shot in Atlanta, Georgia and is a tasteful compliment to the single. Styngray states “they don't have to sell drugs to make it”, referring to those hustling to support their ambitions.